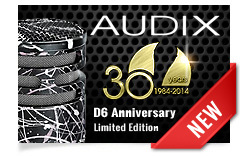 Wilsonville, Oregon, October 2014 - Audix Corporation has unveiled a special limited edition D6 microphone to mark the company's 30 year anniversary. This mic features a five-layer, hand-dipped anodizing process, giving it a unique and artistic finish. No two mics are alike! 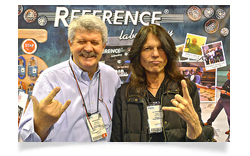 Jerry Barnes, "Reference Cables, c'est CHIC!" 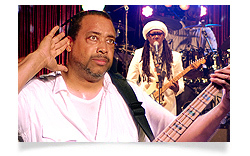 Exclusive interview with Jerry Barnes, bass player and "groove monster" of the CHIC Organization. 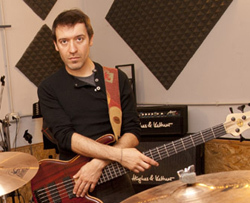 "Since I've been using Reference Labs' RIC01 cable on my bass and pedals the definition of what I’m playing has improved, and it allows me to feel comfortable and think about the music, feeling free to express myself without holding in my dynamic enthusiasm." 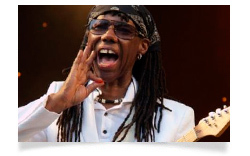 Nile Rodgers, "RIC01, A Hitmaker's Perfect Companion!" 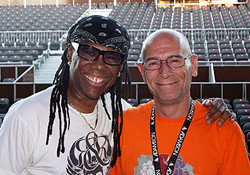 The Chic Organization's leader, Nile Rodgers, guitar maestro and producer extraordinaire, release exclusive interview on his experience with Reference Laboratory cables he has been using lately. 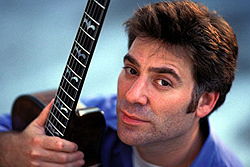 Read on the full story reported by John Ryan (FOH sound engineer/Tour Production mng. 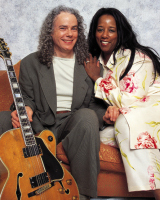 for Nile Rodgers & Chic). 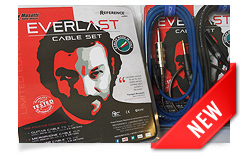 We are proud to announce the release of EVERLAST and SKILL Cable Sets, two limited edition cable bundles come from the partnership between Reference Laboratory and the prestigious italian amp manufacturer Masotti Guitar Devices, and dedicated to helping the guitarist community to achieve the ultimate guitar tone. Reference Laboratory welcome you to the PALM™ Expo 2013, from 30th May to 1st June, at Bombay Exhibition Center, Goregoan (E), Mumbai. We are glad to meet you at Modern Stage Service exhibition booth (J4-16) where we proudly announce our latest news about both our own manufactured products and the international brands we exclusively represent for India. 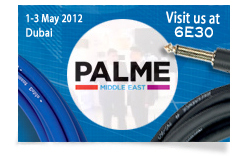 Reference Laboratory is attending PALME Middle East 2013 (21-23 May, Dubai) represented by its CEO A. Tordini and hosted by Thomsun Music at booth RJ10, both as cable and loudspeaker manufacturer, and as Master Distributor for Middle East and GCC Countries for Audix, Peecker Sound UT series, Sixtema, Soundsphere, Sabra-Som, Bricasti Design, Lundahl, Zaor, Efesto, EZClamp. Audix is pleased to introduce two new affordable, flexible and convenient solutions for miking a guitar amp in live or recording applications. With the new Cabi5 and Cabf5 kits, Audix’s already popular dynamic cardioid instrument microphones are now bundled with the revolutionary CabGrabber microphone mounting system. 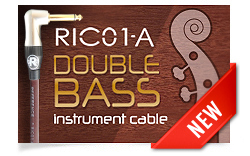 'RIC01-A Double Bass' instrument cable... our "Addiction to sonic Perfection". Reference Laboratory launces RIC01-A Double Bass, a custom (tailored-length) edition of the acoustic-specific instrument cable RIC01-A, designed specifically for Double Bass application, in order to avoid any signal loss, provide the maximum energy transfer and achieve a powerful, very natural reproduction of an acoustic upright bass, carrying completely intact its pleasingly woody aspect into the amp. 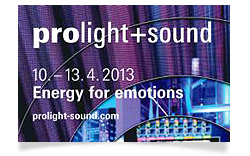 We are pleased to announce that Reference Laboratory will be attending at Prolight+Sound 2013 (10 to 13 April, Frankfurt am Main) and will meet you at Hall 8.0 booth E50 with its top selection cables for Audio / Video / Lighting professional jobs, as well as its wide, 'application-oriented' cable series dedicated to musicians. 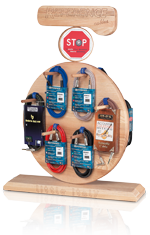 If you're going to be the upcoming NAMM Show 13 in Anaheim (January 24-27), please visit us at our booth (Hall A #6855) to see the new Reference Laboratory cables for 2013, Acoustic Pack (see picture) Double Bass Pack and more! 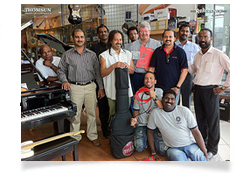 WORKSHOP TOUR 2012 going overseas: Ready for UAE! The Reference Laboratory Workshop Tour - a travelling initiative made of demos and training elements- started its first edition in Milan and it will reach over ten Italian cities such as Florence and Bologna within the end of November. 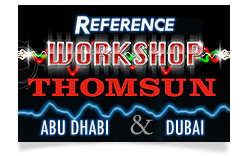 Today Reference is proud to announce that the Workshop Tour has been customized for the market of Emirates and exported even in UAE. 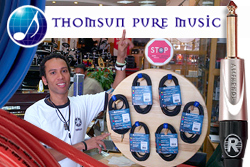 Thanks to the great partnership with Thomsun. 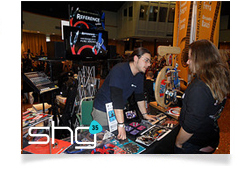 Reference Laboratory joins for the fourth consecutive edition the event Second Hand Guitars 35 (SHG), the first real guitar show in Europe scheduled for Sunday, November 11, 2012 at the Mediolanum Forum di Assago (Milan). Our main role: Technical Partner. The four official stages SHG and the two of Ritmishow - twin event dedicated to the world of drums and percussion - will host dozens of events whose the Reference Team will be official director with its latest technological and artistical proposals and suprises. Improve the Sound of Your Band! It 's been a very busy day for Reference Team but also a true debut without any life net in a perfect Tordini Angelo Style. Denis Buratto from Accordo.it was there, he took some audio / video notes but not only. This is his story in post version, live from audio.accordo.it. Thanks Denis, see you next time! 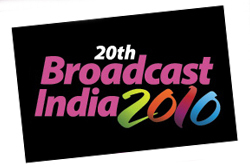 Broadcast India 2012 will be held from October 10 to 12, at Bombay Exhibition Centre, Goregaon (E), Mumbai and Reference Laboratory will be attending for the 10th year in a row. 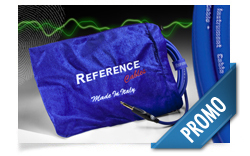 Reference Laboratory, as Professional CABLE MANUFACTURER, will present its state-of-the-art newest cables for AUDIO/ VIDEO professional jobs. For the Exhibition the Reference Team made by Mr. and Mrs. Tordini will be at booth C-311b. 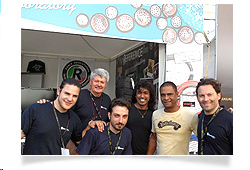 Join Reference Laboratory @ Plasa 2012, in London, stand 1-J12 from Sept 9th to 11th. Angelo Tordini, Reference Laboratory CEO, and Genny Tordini, Marketing VP, will welcome you to share with you the last news about Reference products and distributions and will be very happy to meet you to consider any business and improvement of our partnership. 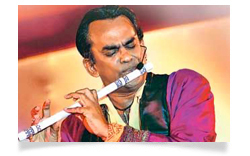 Today we introduce a new friend: Remo Fernandes. We met this important leader of Indian pop / rock music, at PalmExpo in Mumbai, thanks to a high raccomendation from the famous sound engineer Nakul Kamte. We have been talking about cables for musical instruments and Mr. Fernandes decided to test our Reference cable RMC-S01, with the same seriousness and precision that made him achieving some national and international awards and recognitions. 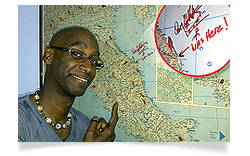 Here you will find his influential "verdict" in a Quote honoring us and we thank him so much. Reference Laboratory will attend and sponsor the Live Music Experience - Music Village, the national showcase event for emerging artists that will be held in Merine (LE) from 26 August to 7 September. This year Reference laboratory will act with a double goal: Technological and Teaching. Angelo Tordini, founder and CEO of Reference Laboratory, will attend the event by holding workshops and a seminar (on August 31st and September 2nd) entitled: "The technical organization of a band: how the mic and wiring affect the overall sound of a live performance"
On the main stage at Umbria Jazz, the music is on air with the broadcast technology and the sound of an audio system, Energia E15 (Adamson system engineering), used for the first time in Italy. 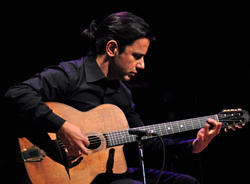 Quality audio and lighting is one of the key points of the festival chosen by the director Carlo Pagnotta for the stages at Santa Giuliana, Carducci and Piazza IV Novembre. Since many years, this choice involves Angelo Tordini from Reference Laboratory. 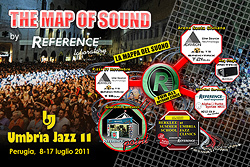 Reference Point will be opened once again this year at Umbria Jazz in Perugia, as a meeting point in the heart of the Festival, between Piazza Italia and Giardini Carducci. It will be a showcase for most innovative technologies dedicated to guitarists, bassists, keyboardists vocalist, drummers and sound engineers. With the support of our specialized staff you will have the opportunity to experience the best REFERENCE cables and of the latest innovations from Audix (microphones). 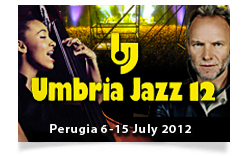 Umbria Jazz & Reference Laboratory, as always...together! 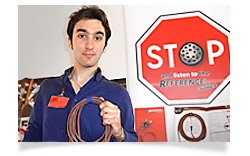 Lorenzo Favero e Reference® Cables: fellow travellers! 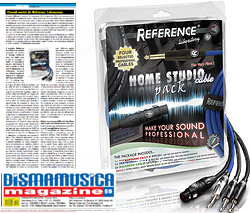 We could not agree more with Lorenzo Favero, one of the most promising italian acoustic guitar players and new friend of Reference Laboratory: Reference cables actually are the best "travelling companions" for a musician in the journey to reach his own top quality sound. 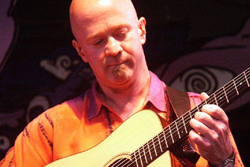 We had the pleasure to meet Lorenzo at XV Acoustic Guitar Meeting, and we got in tune immediately, as if we were old pals... and very shortly after that he wrote us a owesome quote! 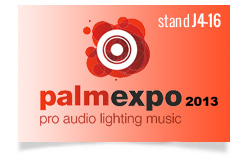 PALM Expo is India’s foremost show for the pro audio, lighting, live sound, install sound, musical instruments and AV integration industry. 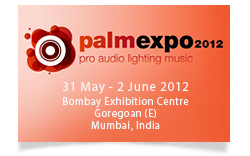 The next international PALM Expo will take place at Bombay Exhibition Centre, Goregaon (East), Mumbai from 31 May to 2 June, 2012. 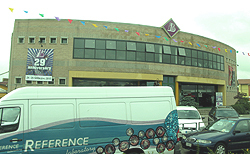 Reference Laboratory will be present with his products and distributions in several booths: Pace Communications, Modi Digital and Modern Stage Service. 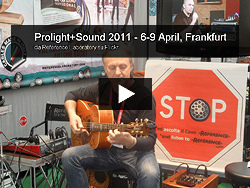 We would like to drive your attention to the following review and the related video published on audio.accordo.it. This high professional job was made by dedicating lot of attention to one of the issue we care more about: giving the proper value to the cable choice. 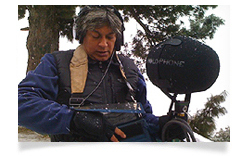 The video is about Reference RMC-01 and RMC-S01 Microphone Cables. When it comes to microphones, musical instruments and backline, artist endorsements are commonplace and usually provide artists with lucrative contracts in which swag and or cash are exchanged for their approval of those brands. Out of sight and perhaps out of mind, cables are rarely acknowledged for their virtues. 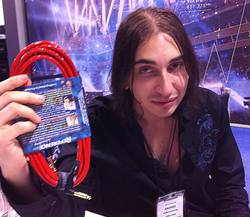 However, Reference Laboratory founder Angelo Tordini continues to spearhead the virtues of selecting the right cables in live, installation, broadcast and recording applications. 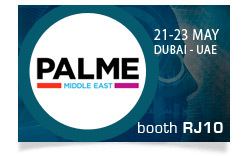 This year Reference Laboratory will join again PALME Middle East, which will be held from May 1st to 3rd at Dubai International Convention & Exhibition Centre (UAE). 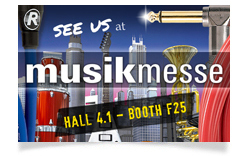 Our stand will be in Hall 6, booth 6E30. 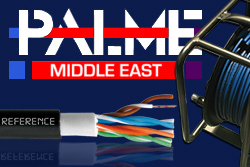 PALME is definitely the region's largest trade show for professional audio, lighting, music, entertainment, audio / video solutions for the integration of dedicated systems. 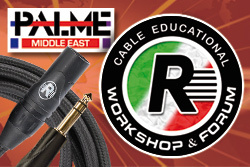 Please note that this year Reference Laboratory will directly organize the CABLE EDUCATIONAL WORKSHOP & FORUM, 2nd Edition. Reference Laboratory is pleased to announce that it has been appointed the exclusive distributor, for Italy and Middle East, for EZClamp™ systems the new product line by Ac-cetera (leader company in producing revolutionary iPad iPhone & other smart devices holders). 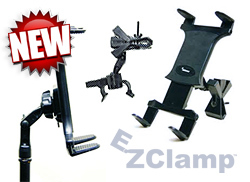 EZClamp™ is the newest line of clamping systems for iPad, iPhone, tablets and other Smart Devices. These holders will allow users to access the thousands of APPS available through SmartPhones & iPads HANDS FREE. 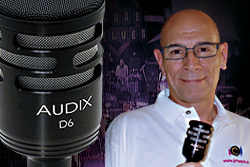 AUDIX rings in the 2012 with Another First-Band Packs! 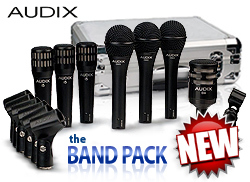 Audix, the first company to release professional instrument mic pack ensembles to the market, introduces yet another exciting concept: the Band Pack! 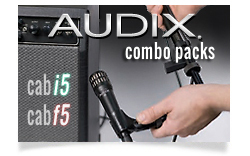 Two professional band packs, the BP5 PRO and BP7 PRO, contain five and seven piece, studio quality Audix microphones. Also new for 2012 are two affordable, equivalent band packs, the BP5F and BP7F. 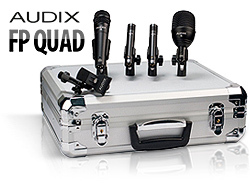 Audix continues to lead the industry in drum and percussion microphones by launching the innovative FP QUAD drum mic pack, a cost effective alternative to the highly acclaimed DP QUAD drum mic pack introduced in 2011. The FP QUAD pack is designed for use in club, rehearsal, school, House of Worship, and home recording environments. 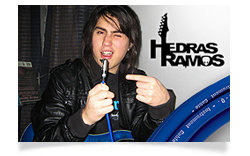 Nakul Kamte (India): "The Reference® cables are... amazing"
Hedras Ramos Jr. & Reference cables: love... at first listen! Without any doubt, with the young talented super-shredder Hedras Ramos Jr. it was love at first...listen. 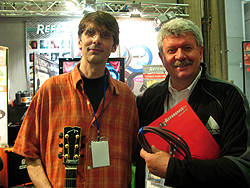 We met him at the Second Hand Guitar show (2011), and just few days after he was performing on stage at the Guitar Idol III final plugging his guitar with his brand new RIC01 Reference Laboratory cable. Owesome! 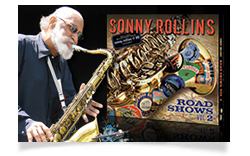 During the 2010 edition of the Umbria Jazz festival (Perugia, Italy) we had the honor to meet Richard Corsello, the man who works with Sonny Rollins as recording engineer and mixer for over 30 years, just during the sound-check of the great saxophonist. Richard decided to replace with two Reference Laboratory RMC-S01 cables, his XLR cables that he usually employed to connect his ZOOM Handy Recorder (which he recorded all the Sonny’s 2010 World Tour with) to the FOH console. Today the story goes on.... Read all about it! 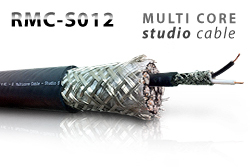 Reference Laboratory is proud to announce the launch of RMC-S012, the innovative multi core audio cable designed to be used at recording and mastering studios (for balanced connections) in order to achieve the widest harmonic range of the sonic image and thus the best sound quality in listening. 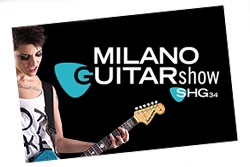 Born in 1992, SHG Milano Guitar Show has reached its 34th edition. 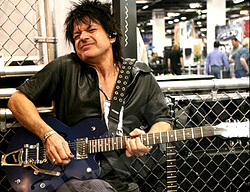 It is the most important italian meeting for the electric guitar enthusiasts. During the day the visitors can discover the best of world production and freely try, evaluate, buy, sell, exchange musical instruments, and attend the live events scheduled. 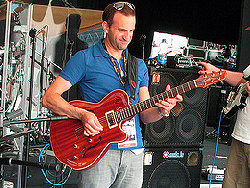 Just on the Main Stage of the show, Reference Laboratory is pleased to present two demos conducted respectively by STEF BURNS (Vasco Rossi Band, Stef Burns Group, Huey Lewis & the News) and STEVE ANGARTHAL (Fire Trails, guitar teacher for RockTv). 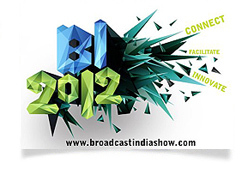 Reference Laboratory will be attending Broadcast India 2011, that will be held from October 20 - 22, 2011 at Bombay Exhibition Centre, Goregaon (E), Mumbai, India. 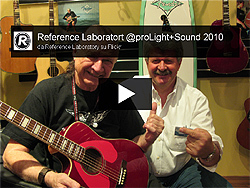 Reference Laboratory, as Professional CABLE MANUFACTURER, will present its state-of-the-art newest cables for AUDIO/ VIDEO / LIGHT professional jobs. 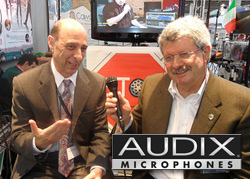 AUDIX is the industry leader in drum and percussion microphones and was the first to introduce professional mic pack assortments to the market. It is within this spirit of innovation that Audix is proud to launch the DP-QUAD. Specifically for drums and percussion, the industry standards in this pack guarantee delivery of your sound – straight out of the box. The successful collaboration with our friend John Ryan continues. 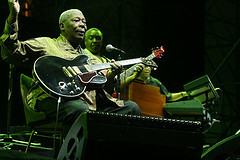 He has given us the honor of joining the staff of the Reference Lab @ Umbria Jazz 11, in the last 3 days of the festival. What else to add? 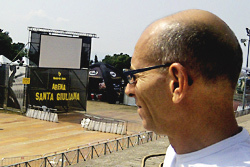 Piero Bravin and John have made the sound of the Arena Santa Giuliana, unforgettable. John was also kind enough to want to share this beautiful experience (personal and professional) with all our friends and web users. Here are his competent... impressions. 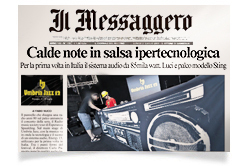 UMBRIA JAZZ & REFERENCE LABORATORY: together more than ever! 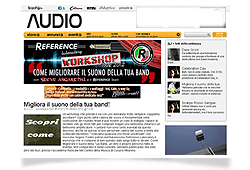 REFERENCE LABORATORY will be technical partner again this year of Umbria Jazz and will, as always, support the Berklee Summer School at the Umbria Jazz Clinics, the prestigious collaboration between Italy and the United States, for its 26th edition..
from Liza Minnelli to Prince, from Santana to B.B. 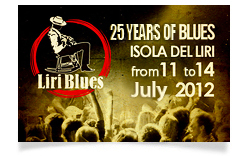 King, from Gilberto Jil & Sergio Mendes to Brandford Marsalis, to Herbie Hancock-Marcus project Miller-Wayne Shorter... only to name a few of the artists that will be on the main Stage in the Arena Santa Giuliana. 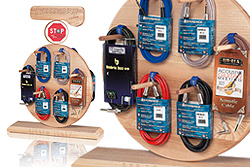 The Little Italy: an instrument made to help retailers in displaying the entire line of Reference cables for musical instruments and to allow, thanks to the exclusive REFERENCE Guide to Cables, to understand, touch and choose the best cable for each musician’s requirements. 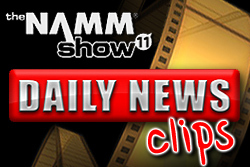 Daily News is the series of clips produced by Stefano Olla and Roberto Diana in collaboration with Reference Laboratory, that will show you the key stages and all the fun facts from NAMM Show 11. 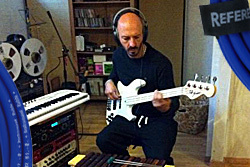 Luca Vicini, better known as Vicio, bass player with Subsonica, with great care as much as enthusiasm tested the Reference cables. Thank you Vicio... and see you soon! 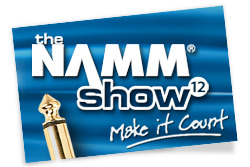 We will attend the NAMM Show 11, 13 to 16 January, with the REFERENCE Cable Corner: a station set-up at Booth #6853 (Hall A). 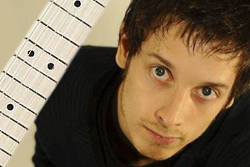 The guitar players Roberto Diana e Luca Di Luzio will introduce, in addiction to all our cables for musical instruments (from the rock to the acoustic one, from the jazz to the live one, etc. 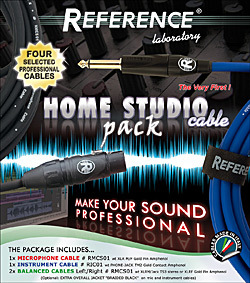 ), the US premiere of the brand new Reference Home Studio Cable Pack series. Specific live tests will be run in order to fully demonstrate the superior quality of these new cable kits conceived for home recording. What use is a Home Studio Cable Pack? Who was it conceived for? 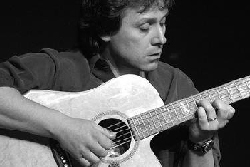 Salvatore Russo, internationally renowned guitar player with more than twenty years of professional and artistic experience, played with some of the foremost italian singers and songwriter of our time. 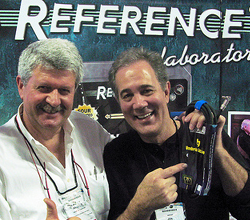 Here his impressions about the Reference cables RIC-01 and RMC-S01 (plus the original audio test files too). Great success for Reference Laboratory at “Biasin 29th Anniversary” event. 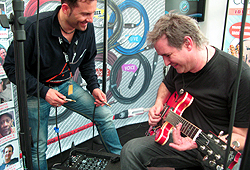 The Reference Cable Corner was a meeting place for all the people occurred at the venue, the “Reference friends”, and awesome musicians as the guitarist David Beltran Soto Chero and the guitar idol Daniele Gottardo. 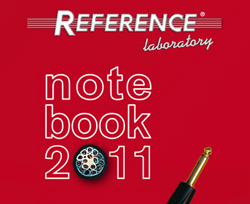 Take note: Reference Laboratory is taking part in the upcoming PLASA 2010 (12-15 September, 2010 – Earls Court Exhibition Center, London). 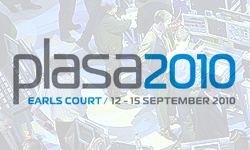 The Plasa Event is one of the main international showcases for the newest leading audio, video, light technologies and all the most innovative solutions for the entertainment industry. Morpheus DropTune effect pedal predictably gained entry into the “hardest” rock and metal bands. 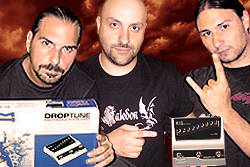 Here what the “guitars” of the italian power metal KALEDON (Paolo, Alex and Tommy) say about it. 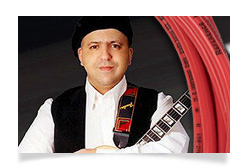 There's a new Reference cables' friend: Peppino D'Agostino, a virtuoso acoustic guitarist and composer, born in Italy but long time resident in California. 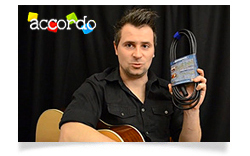 He wrote: I did used the RICO1A cables live with speakers MEYER and also my AER amp. I was very impressed by these cables sturdiness, their excellent signal reproduction, their quietness and the high quality materials used to build them. Reference Laboratory will be in Policastro Bussentino (SA) on July 23, at the third edition of MUSICAL-mente POLICASTRO 2010, the famous contest for emerging bands, born from the collaboration between Associazione Musicale Sonoria and Comune di Santa Marina (SA ). Received and published with our great pleasure and pride this new audio report sent us by Jon himself few days ago. He talks about his pedalboard and makes an A/B test comparing the new cable setup (Reference RIC01) to his old one. 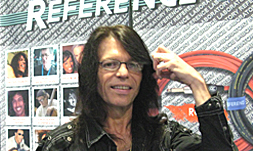 As promised, and to our great pleasure, famous bass player RUDY SARZO (member of heavy metal bands of the calibre of Dio and Blue Oyster Cult) visited our REFERENCE Cable Corner, set up at the last NAMM Show 10. 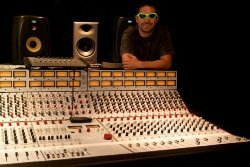 Rudy says "The RIC-S01 R is the only thing I use in the studio because it gives me the sound...that I MUST HAVE!! 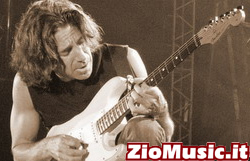 We may highlight an exhaustive interview by Luca “Luke Reds” Rossi on ZioMusic.it to Stef Burns, great Californian guitarrist, now playing with Vasco Rossi. Stef Burns uses Reference cables, and he did confirm his choice during this interview..
Reference Laboratory have been invited by IRIB (Islamic Republic of Iran Broadcasting) to conduct a depth Seminar on audio cables and their application in the Broadcast segment. After a careful comparison between seven types of cables of different brands, we could finally say the best results had been achieved with two cables from Reference Laboratory: the RMC-16TP and the RMC-S01. As you know, we have done many cable A/B tests over the years, starting in the early 80's. It was clear to us from the beginning that not all cables sound the same, and we went to considerable lengths to find the best-sounding ones. We did not have the tools to do scientific A/B tests, so we were reduced to switching cables as fast as possible, then singing or playing some more. Even that way, relying on our memory, both of us could hear clearly that there were differences. Patti became our top tester. She would go into another room while Tuck played and switched cables, then she would yell "That one!" whenever she liked one. She always picked the same one! 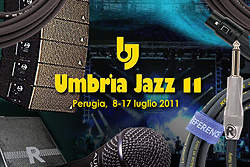 The 2009 edition of Umbria Jazz has just ended.